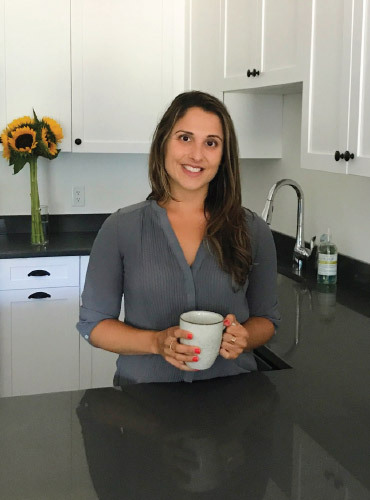 Lauren Manganiello, MS, RD, CDN, ACE-CPT is a sports and performance registered dietitian/nutritionist and fitness coach in New York City. Through individualized nutrition and fitness coaching, I aim to help you build new, healthy habits related to food and fitness that work for YOU...and your lifestyle changes and successes will follow, too. It’s time to reclaim your health. Challenge yourself. I provide customized nutrition and fitness coaching packages in the New York City area. One-on-one sessions can be conducted in-person if you are in the New York City area; if not, sessions will be done via phone or video chat. Schedule your 15-Minute Complimentary Consultation today. Find balance in your busy life to empower self-confidence and comfort in your own body. Functional training incorporating exercise techniques to help you look and feel your best. Lively presentations to motivate & inspire others to live a healthy, balanced lifestyle. Quoted in a variety of publications including freelance writing, blogging and corporate writing. I met Lauren years ago and trained with her at my gym. I then moved downtown and didn’t have a trainer. Prior to my wedding I found Lauren again and she helped me work and surpass my goals for my wedding. I never felt more confident. Lauren takes the time to ask the question about what is most important for you, how can you live the same lifestyle but improve it. After my wedding I am still working with Lauren. She is kind, compassionate, thoughtful and became a great friend through this journey. I highly recommend working with Lauren! Lauren was amazing! She is so informative and understands how frustrating it can be to achieve your weight loss and fitness goals. She was able to help me figure out what works best for my body in terms of eating and exercising. With her help I feel that I am so in tune with my body and I am able to understand what I need to be successful. I highly recommend working with Lauren! Lauren and I have worked together for multiple years now, and I can’t say enough about the support and physical improvement she’s brought into my life. For background – I’ve been dealing with a chronic illness for 5+ years now. Symptoms can make it hard to consistently work out. Yet, physical exercise has always been a part of my life and I needed to find a way to train smartly. Lauren has given me a program through the years that takes into account my condition, but has also yielded real results in how I feel. I always say that my goal is to feel strong, and our work together has improved both my strength and energy levels. I’m constantly amazed when I hit the gym on my own and see the difference in weight load I can train with. On top of all that, Lauren is a truly kind-hearted individual, and her support for her clients on a personal level is never in doubt. Interested in working together? I’d love to hear from you. Please contact me by filling out the form on the left. I will be in touch with you shortly.